With all of the parts complete, I attached a couple of pieces for the screws and attached the seat. Next the back support was attached with glue. I am still not sure of the size and shape of the back support but it is now attached. Finally the seat is attached using screws. Of course who could forget the little repair needed when I sent the chisel through the leg. 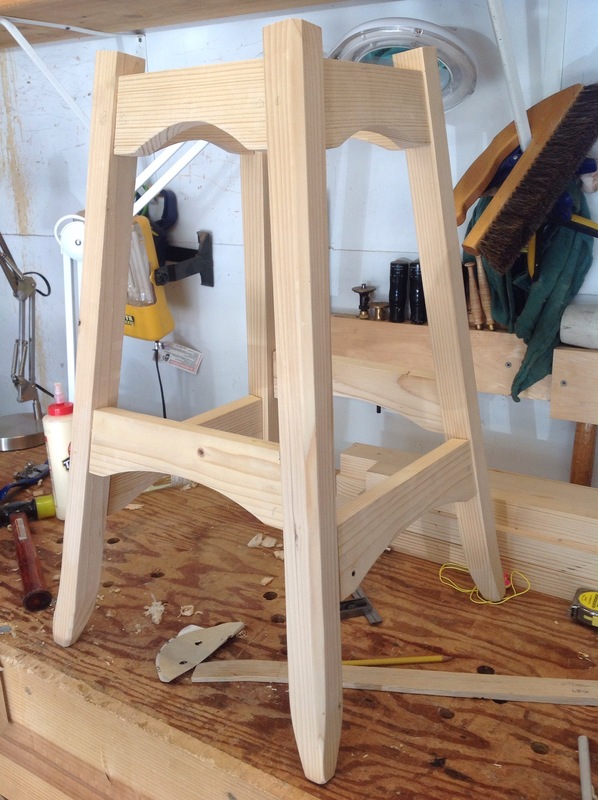 Throughout the past week time was spent shaping the stool seat. 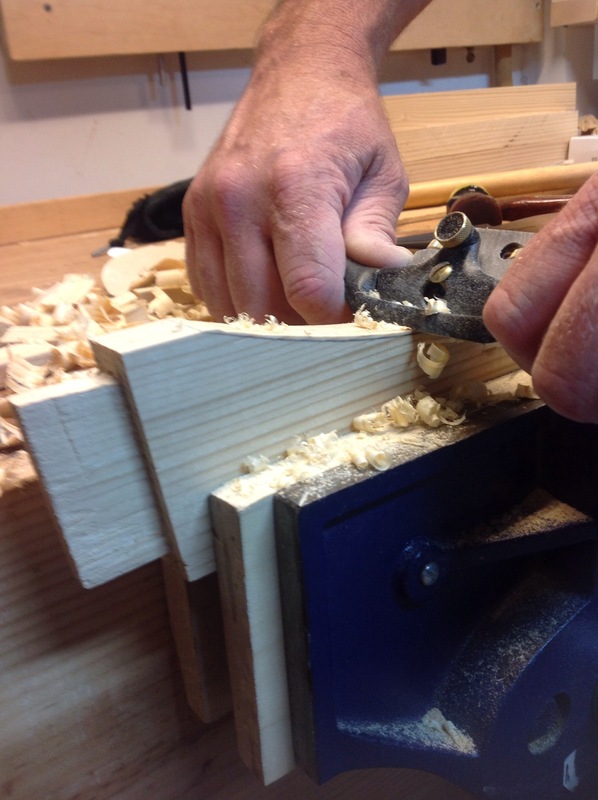 As demonstrated by Paul Sellers I used a #7 gouge. This is my first experience with this tool and it has been fun. Took a little time to work out the sharpening technique, but all is well. The most surprising aspect is how little time it took to get the shape I wanted. If I am calculating correctly approximately two hours over a couple of evenings. There are a few areas that need to be smoothed and some shaping in the front to ease the edges, but the bulk of the work has been completed. In the background of the photograph is the plane that I began last winter specifically for this project. 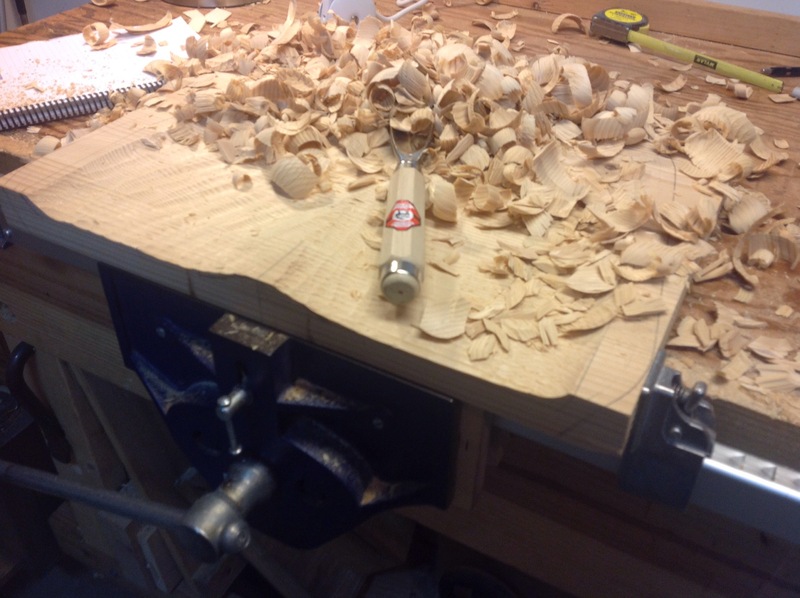 It worked fairly well and helped with the smoothing after using the gouge. Doing this project again I would make a smaller plane. 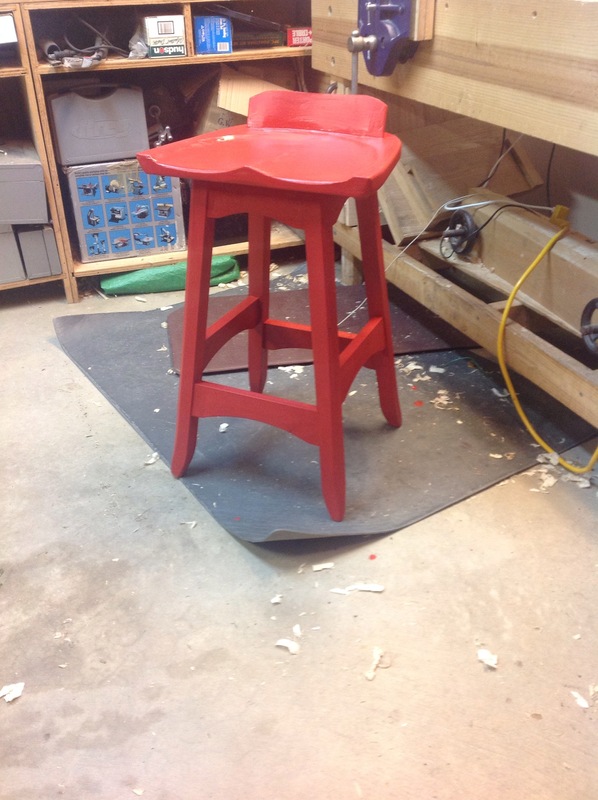 A stool is not very functional without a seat. 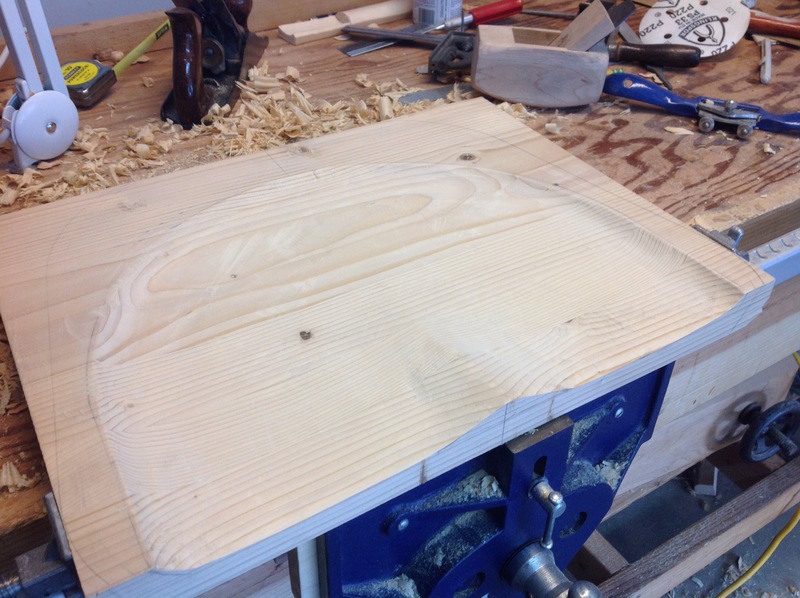 As brought up by one of my friends in a comment, I will be carving a tractor style seat for the stool. 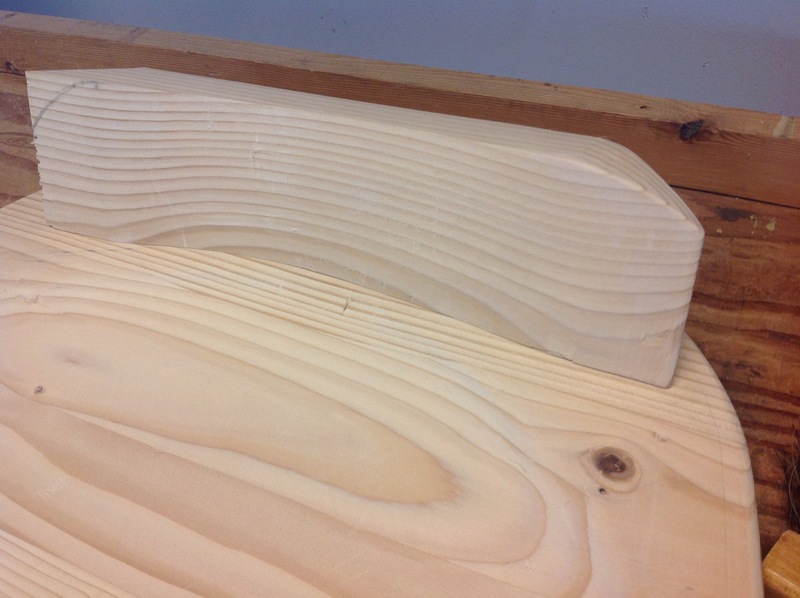 It is a little intimidating but I have to begin carving. 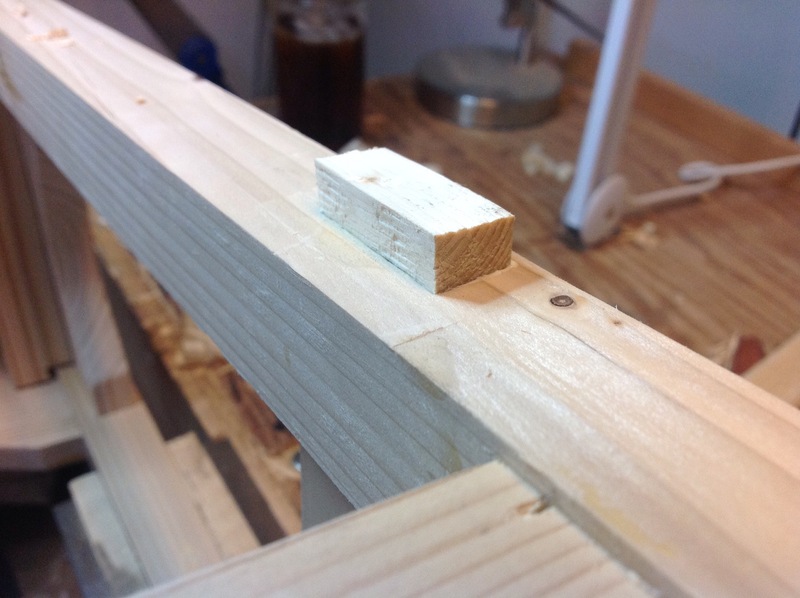 I began preparing wood for the seat and after several frustrating minutes trying to match edges realized that I was using the wrong tool. 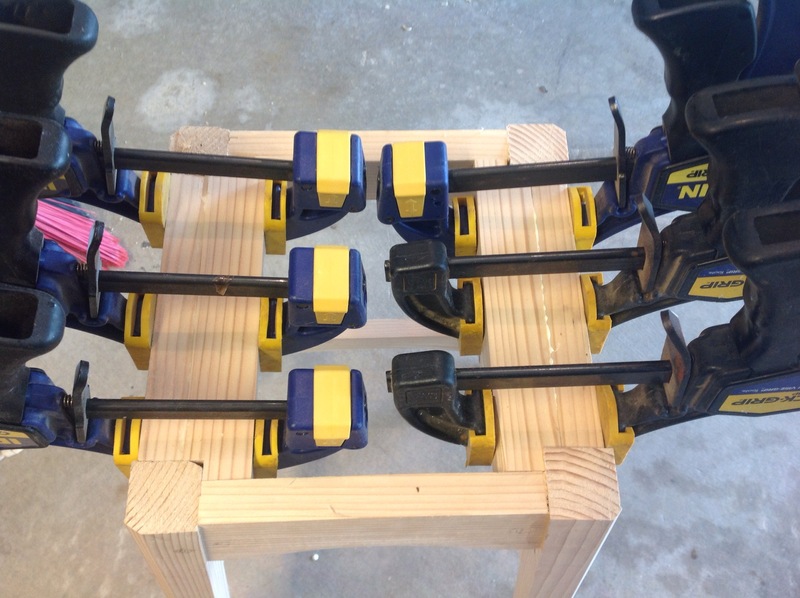 Swapping from a Stanley #4 to a #5 it only took a couple of swipes to flatten the ends and make a perfect match. 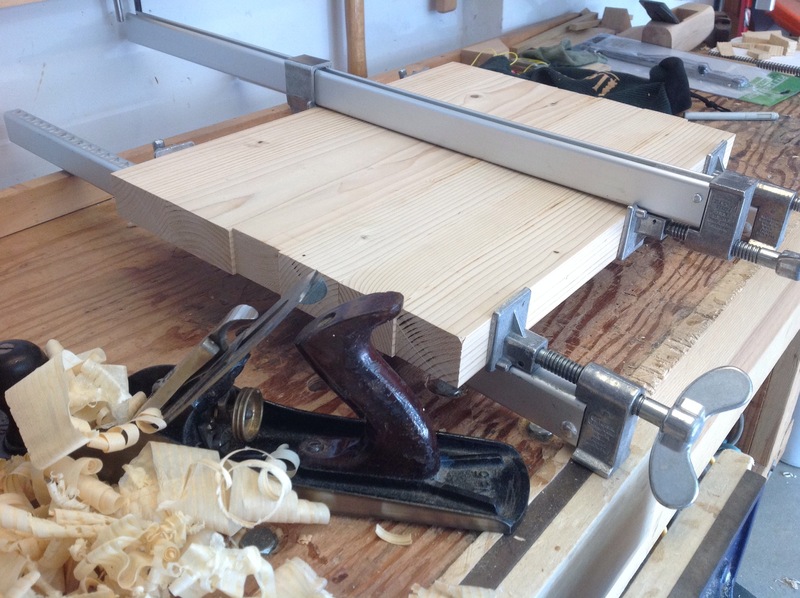 I have been doing so much finish planing lately that I didn’t think about the advantages of a slightly longer plane. 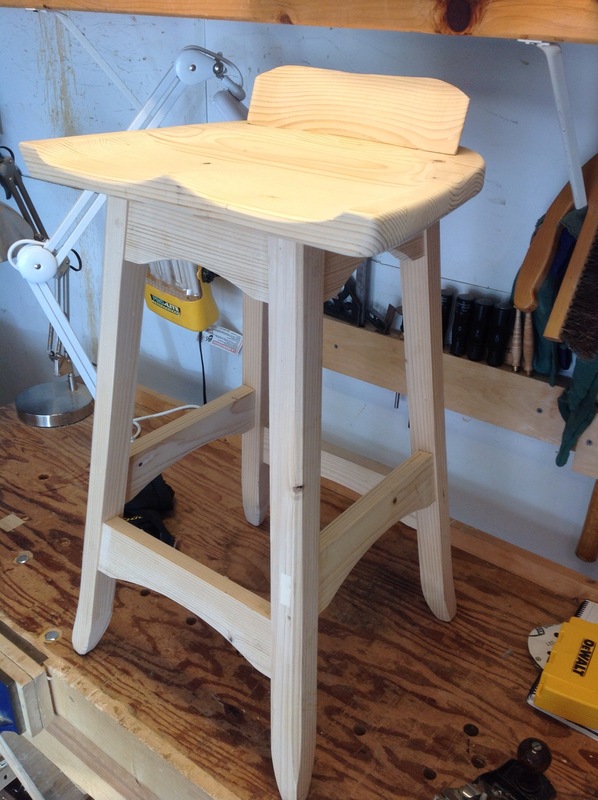 While the glue dried, I went ahead and glued up the stool. 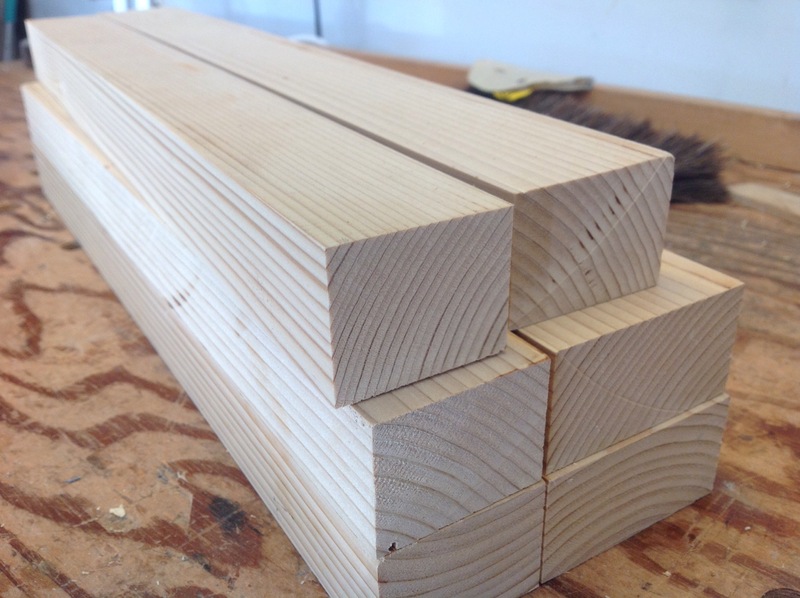 It’s the subtle shaping of wood that adds character to a piece. 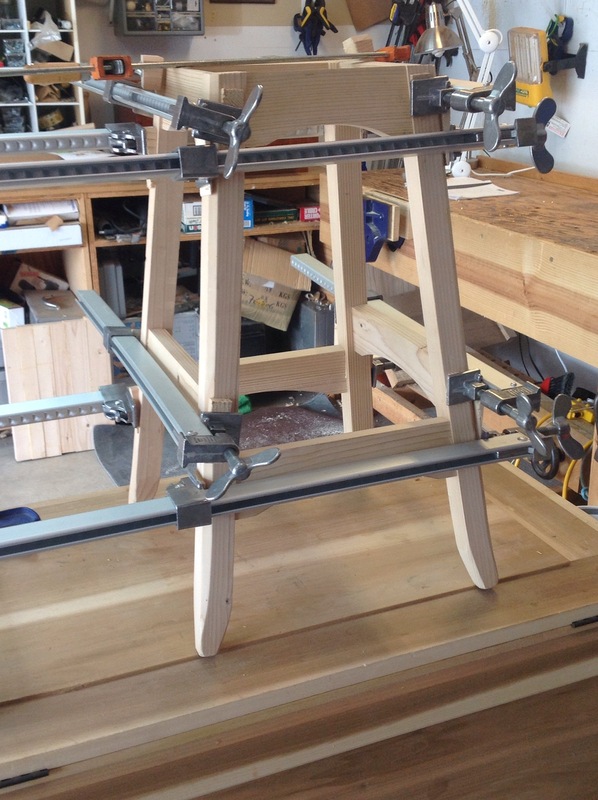 Although I am only making a stool for my shop it’s fun to add a little lightness to the piece by trimming some wood from the legs. 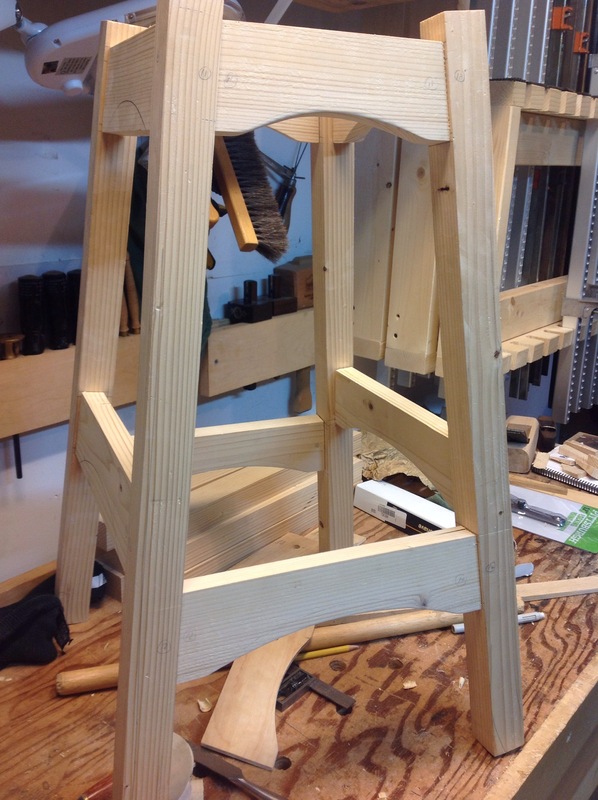 After cutting out patterns for the arches in the stool rails. I began to cut the arches themselves. It did not take long (the first arch) to recognize that the shape did not look right. Standing back and staring for several minutes, (which is standard operating procedure when we don’t know what to do) I realized that I needed a shallower arch. The shallower arch provides a feeling of strength and grace, ok it’s only a stool! 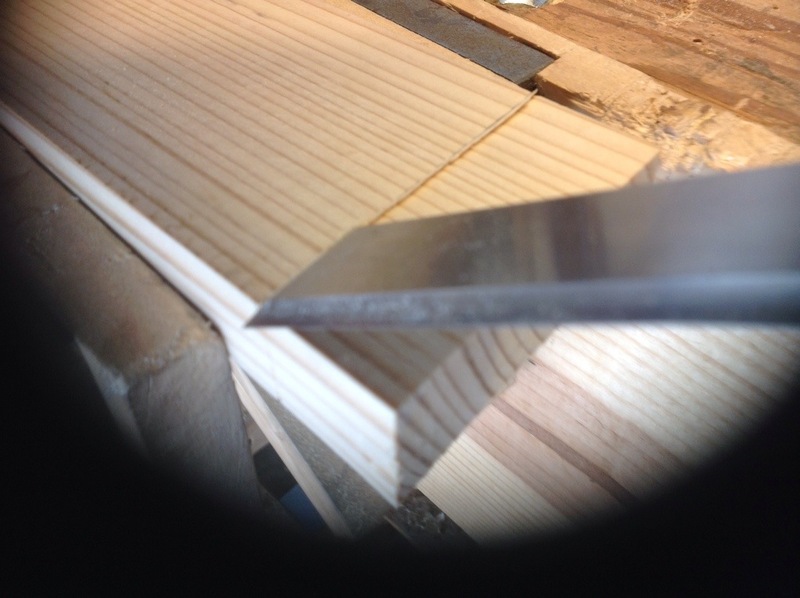 I enjoyed cutting the arches using my usual method of saw, chisel and spokeshave. 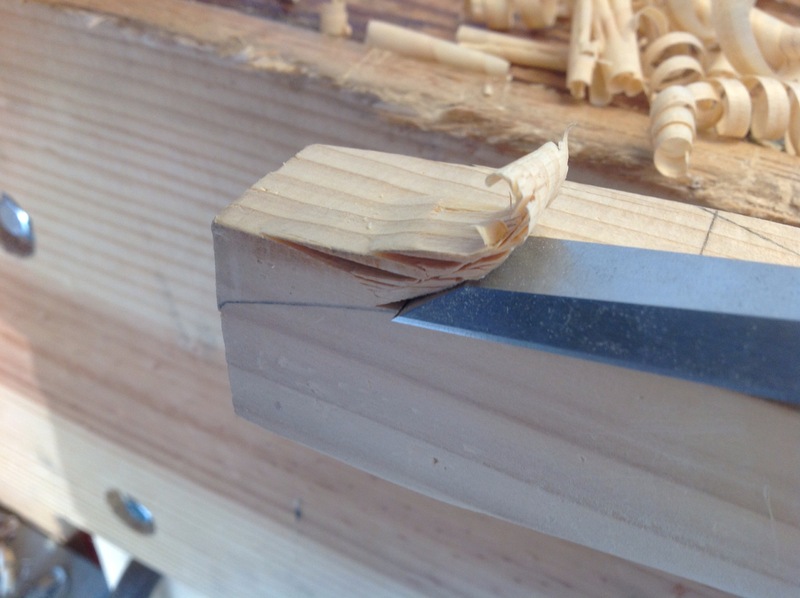 My chisel skills continue to improve and thus my confidence grows. 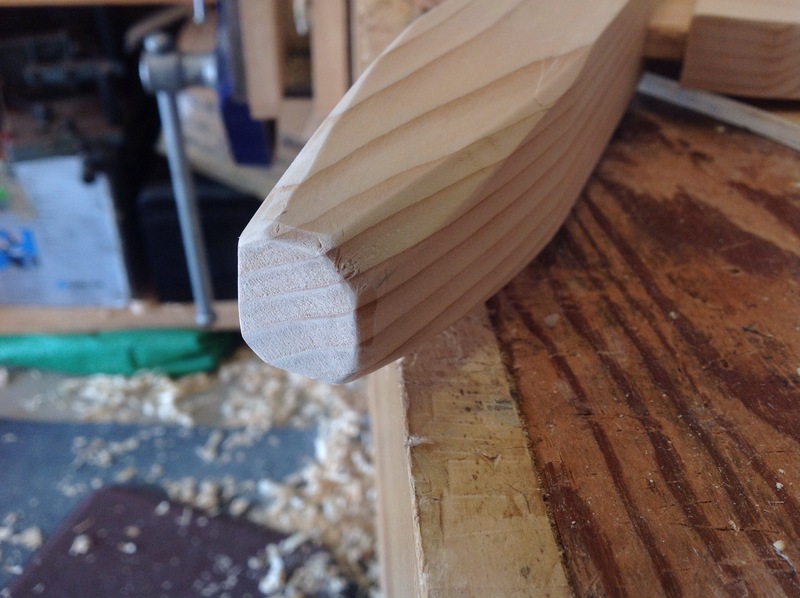 The upper arches are tighter than the lower and my flat bottom spokeshave struggled with the curve. The curved spokeshave being more difficult to use then the flat prompted me to just ease the curve with my chisel which worked well. 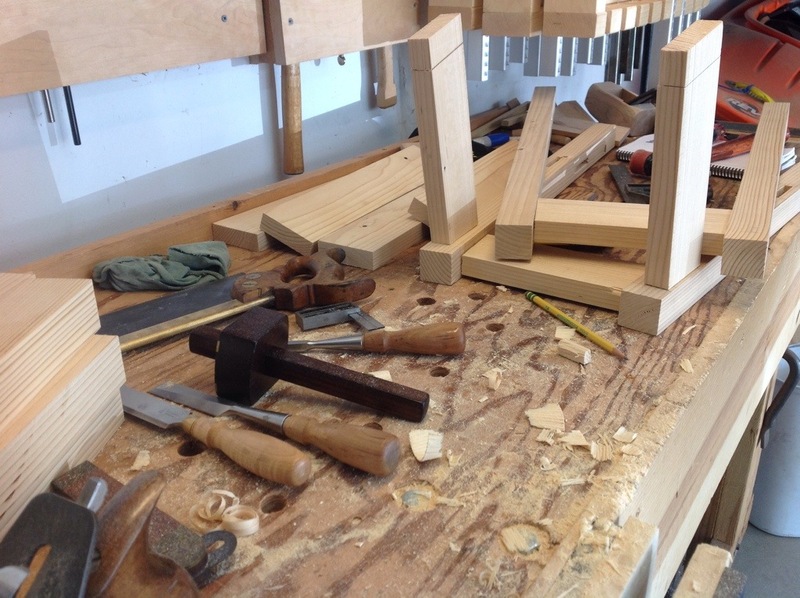 I will shape the legs this weekend and prepare the blank for the seat.